A Nigerian man has caught the attention of authorities after posting photos of girls being illegally circumcised on his Facebook account, CNN reports. The man, who goes by “Alhaji Adebayo” on Facebook, shared the photos with a caption that implied he would perform the operation for interested families. “Bonanza! Bonanza!! Bonanza! !” Adebayo wrote on his Facebook page on Jan. 3, according to screenshots taken by CNN. The next section, honestly, made no damn sense, as Adebayo appeared to string together a series of unrelated dates. Added to the post were images of young girls being circumcised. The post drew strong criticism of Adebayo on social media, and many urged him to take down the post, which CNN reports he later did. Adebayo posted on Facebook the day after sharing the disturbing photos, saying that he had been visited by campaigners from anti-female-genital-mutilation groups. “They made me realize the disadvantages and implication in doing mutilation for [the] female child,” Adebayo’s post said. “I urge every parent to put an end to the female circumcision...because of (the) problems that might come out from there later in the future,” he wrote. Female genital mutilation, or FGM, was banned in Nigeria in 2015. However, CNN notes that there hasn’t been a single conviction of those who have continued the practice. According to CNN, one of the anti-FGM campaigners who visited Adebayo says that the self-employed building contractor was running an unregistered “charity” that discounted male and female circumcision for low-income parents. The campaigner told the cable news outlet that some families paid as little as 500 Nigerian naira (or $1.5o in U.S. dollars) to have the procedure done. Adebayo lives in Ilorin, Kwara State, central Nigeria. A 2017 report by the U.N. Population Fund and cited by CNN found that 53.3 percent of women and girls in Kwara had undergone FGM—the sixth highest out of all the states. Aina also says that Adebayo claimed he didn’t know that FGM was illegal and vowed to stop performing the procedure. 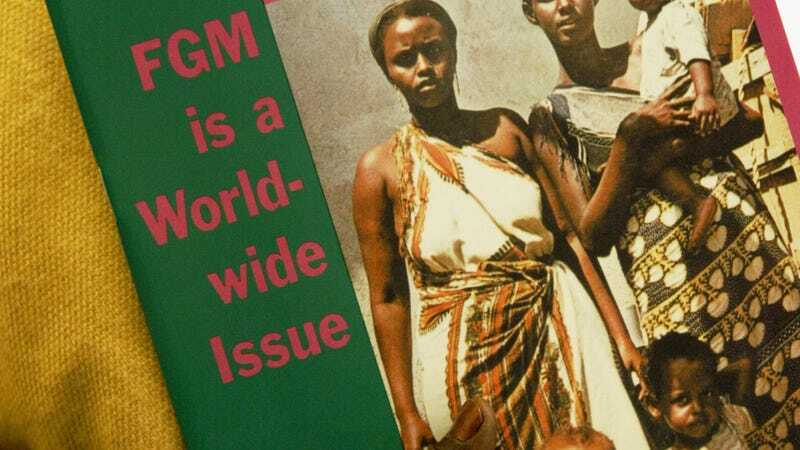 FGM can trigger a host of serious health issues, including severe bleeding, infection, infertility, complications in childbirth and greater risk of infant deaths.